Ho ho olé the day at Taco John’s this holiday season! From Nov. 12 to Dec. 30, Taco John’s is spreading holiday cheer with new Loaded Nachos, bonus gift cards and the highly anticipated return of Nachos Navidad. 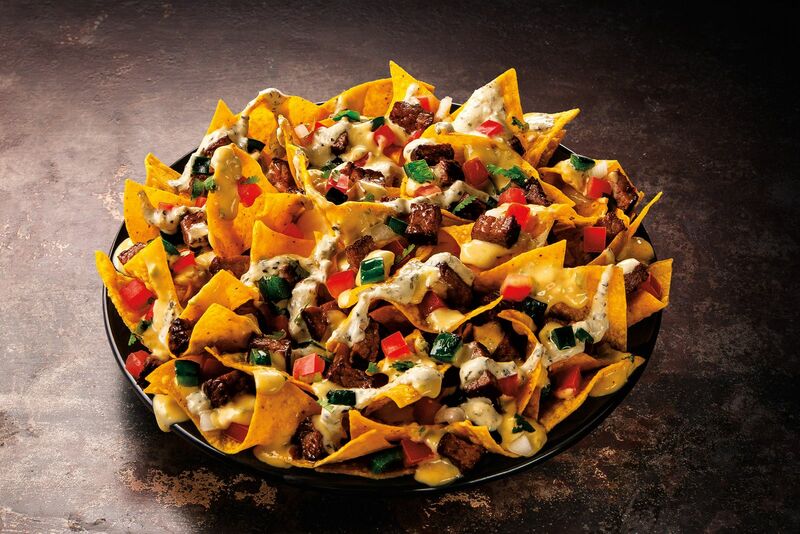 The new Loaded Nachos are piled up high with chips, your choice of sirloin steak or pork carnitas, covered in poblano queso and chimichurri sour cream, and then topped off with poblano peppers and pico de gallo. This holiday season, Taco John’s fans can stuff their stockings with gift cards that everyone will enjoy. For every $25 gift card purchased, guests will receive a $5 bonus card! Back by popular demand, Nachos Navidad features red and green tortilla chips with Taco John’s traditional Super Nachos – a mountain of house-made cooked tortilla chips covered in nacho cheese, 100 percent American beef, refried beans, cheddar cheese, tomatoes, black olives, guacamole and rich sour cream. For more than 20 years, Taco John’s franchisees have donated a portion of the proceeds from every Nachos Navidad purchase to a worthy cause in the local community in which they serve. Franchisees have the freedom of choosing the charity they’d like to support. The hyper-local approach has collectively raised millions of dollars for hundreds of organizations where Taco John’s restaurants are located. With its fusion of distinctive flavors and south-of-the-border spices, the Taco John’s menu offers several signature items, including Meat and Potato Burritos, original Street Tacos and Potato Olés. Taco John’s features epic specials like Taco Tuesday and discounted breakfast burritos on Wake Up Wednesday!. Download the TJ Rewards App and like Taco John’s Facebook page for exclusive deals.